Hello pretties, welcome back to my blog lol. I have a confession to make, I can hardly update my blog as frequent as I wish because of my job. This is rather a sad story because my personal time will soon be taken away with all the workloads. ༼ つ ◕_◕ ༽つ Freedom! Sigh, somehow I wish to complain about my job but I knew if I can handle this much of tasks, I can easily find a better job in the future. Jeng Jeng Jeng! Anyway, back to the real story for this post, I am going to show you my current favourite special care from SHILLS. 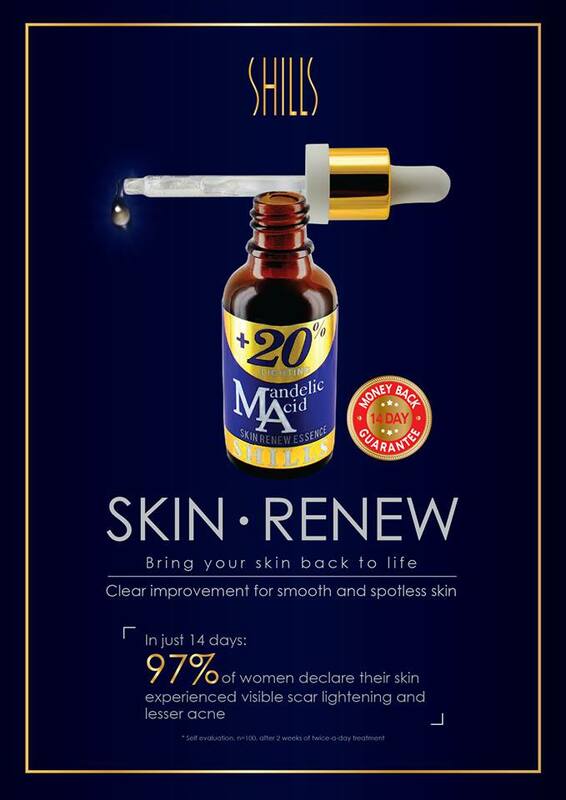 As the poster mentioned, you can achieve fair and smooth skin with this essence within 14 days. Hmm... doesn't sound promising right? That was what I thought during my first contact with this essence. 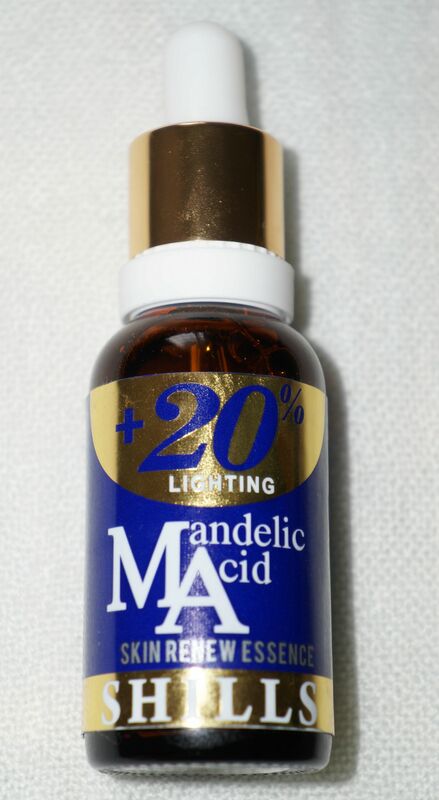 Mandelic Acid Skin Renew Essence is a whitening special care product which eliminates dead skin cells and enhances cellular renewal. It also helps to diminish the appearance of fine lines and refines texture. In short, it is a whitening product which gives you a fairer and smoother skin tone. Essence is an extra special step in your daily skincare routine if you want to achieve better skin condition. Two drops from the essence is sufficient enough to apply on the whole face. After cleansing, you can apply the essence to the skin and massage gently on your face. It is highly recommended for one to apply moisturizer after the essence in order to preserve the hydration level in your skin. The ingredients are rather interesting because you can find pure water in it. I'm not quite sure the definition of pure water in this essence but I would guess pure water leads to a watery texture as shown at the next image. As you can see, the essence is in clear texture. 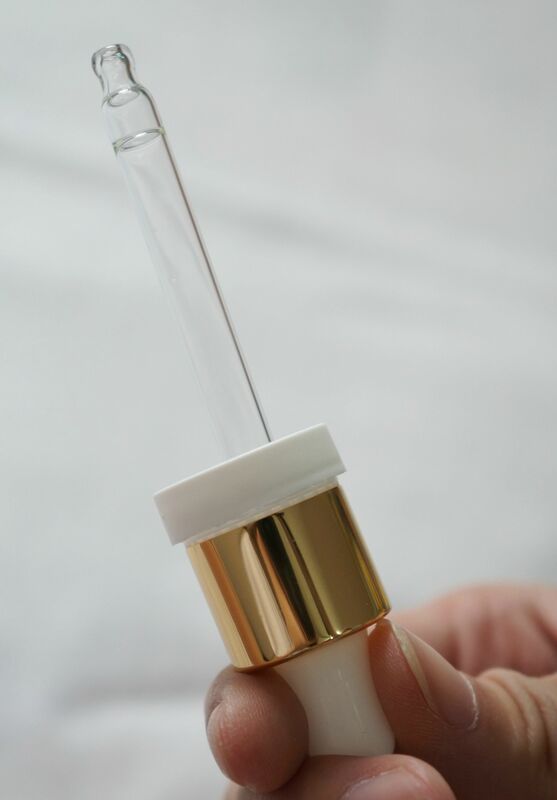 The dropper allows you to control the amount of essence you need for your face. Please ignore my horrible eye bags. I'm evolving into a panda soon. This is a before and after the application of essence. The before image shows my face is pale and dull. 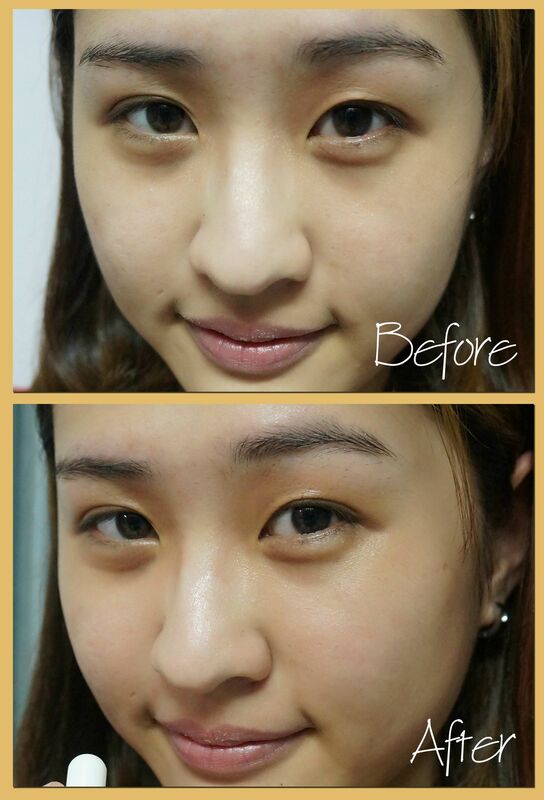 The after image shows my rosier and more radiant skin. I like the non-greasy feeling after the application. The essence keeps my skin hydrated at all times. Though the smell is slightly unbearable, it is better than those with fragrance scent. 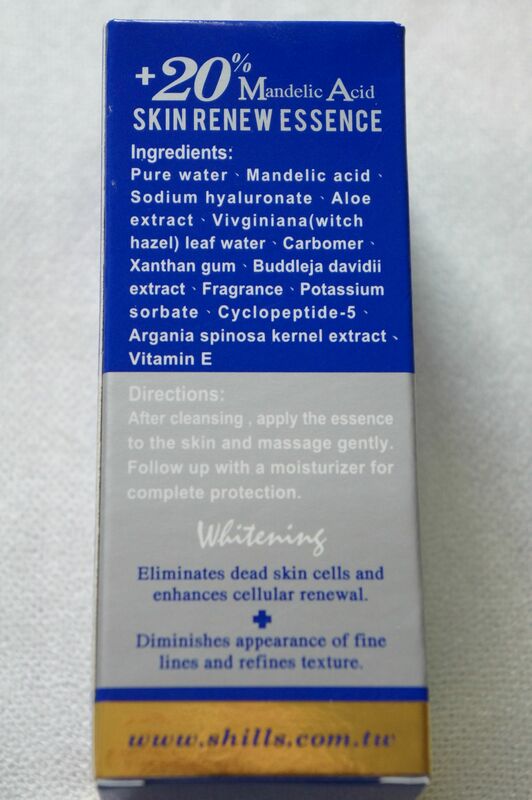 The is the first whitening essence that wouldn't give a tingling feel to my sensitive skin after the application. However, do understand everyone has different skin condition. It is preferable for you to test it out at the store before getting the essence.